White kidney beans (or cannellini beans), just like many other beans, are a member of the Phaseolus vulgaris species. They are similar to navy beans, which are commonly sold as "baked beans". White kidney beans have huge potential as a weight loss aid. It is an effective carb blocker and may help you reduce weight by shedding off excess fat while also helping to maintain lean muscle mass. Where Do White Kidney Beans Come From? White kidney beans are very popular in parts of Italy such as Tuscany, where they are used extensively for cooking. Beans are full of fibre, vitamins, and minerals. They are also a good source of vegetable protein while also being low in fat. In addition to this, it has been found that white kidney bean extracts have been effective as a weight loss aid because they are starch or carb blockers. There have been some studies that show that benefits of white kidney beans weight loss. When human subjects were given 445 mg of a white bean extract per day for 30 days, it was found that they lost significantly more weight and fat compared to those receiving a placebo. Furthermore, weight loss occurred with the maintenance of lean mass (Celleno et al, 2007). This works because white kidney bean extract contains an alpha amylase inhibitor (Santimone et al, 2004), which essentially limits carbohydrate digestion and absorption. To most people, this effect is known as "carb blocking". White kidney bean extract has received some strong scientific backing, with researchers supporting its potential use to combat obesity (Udani et al, 2004). These authors noticed a 129% increase in weight reduction in supplemented subjects compared to those receiving a placebo. Research such as this has also been supported by animal studies, which also slowed a reduction of body weight and food intake in rats supplemented with white kidney bean extract (Fantini et al, 2009). In some of the above studies, not only was a marked reduction of weight apparently, but researchers also observed changes in blood lipids. A three-fold reduction of blood triglycerides were reported among supplemented subjects compared to those receiving a placebo (Udani et al, 2004). High blood triglycerides are a risk factor for heart disease. Therefore, it is in the best interest of most people to keep these numbers low. Many beans naturally contain a toxic compound that can cause fairly severe gastrointestinal upsets. However, this toxin can be eliminated through proper cooking. For this reason beans cannot be eaten raw. White kidney bean extracts undergo heat processing, which is effective in eliminating the toxin, making the extract safe to eat. The above studies monitored subjects for side effects and none that were attributed to white kidney bean extract was reported (Celleno et al, 2007; Udani et al, 2004). A animal toxicological study showed that 1112 mg white bean extract/kg body weight/day for 4 weeks was safe (Chokshi, 2006). Another study suggested that 2500 mg/kg/day for 28 days could be the maximum safe dose (Chokshi, 2007). That's the equivalent of 200 g/day for an 80 kg man. White kidney bean extract is therefore deemed to be very safe for consumption. A dose of 445 mg white kidney bean extract/day may be adequate (Celleno et al, 2007), though higher doses have been used in trials (Udani et al, 2004). Because white kidney bean is a carb blocker, it should be taken before a meal. It can be done so before one or two meals/day. However, since white kidney bean can be found as part of a mixture of ingredients, it is important to follow the manufacturer's directions. White kidney beans extract is the active ingredient in some commercial carb blockers. 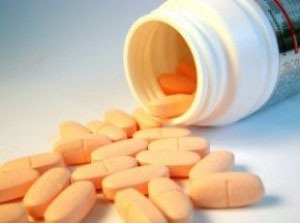 They can also be found in some fat loss proteins, fat burners, and other weight loss supplements. When looking for white kidney bean supplements, also be sure to keep an eye out for its other names, cannellini bean and Phaseolus vulgaris. White kidney bean can be stacked with many fat loss supplements. These include fat burners, fat metabolisers, and fat loss proteins. Together, they may provide an effective fat loss aid to help you achieve your goals. Santimone et al (2004), Porcine pancreatic al-pha-amylase inhibition by the kidney bean (Phaseolus vulgaris ) inhibitor (Alpha-AII) and structural changes in the al-pha-amylase inhibitor complex. Biochim Biophys Acta,1696: 181-190.